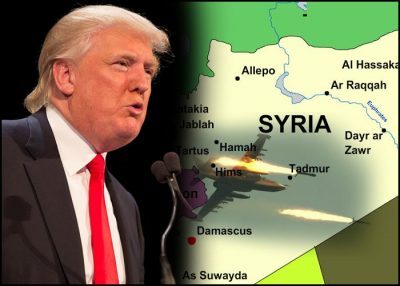 Are More US Attacks on Syrian Forces Planned? Establishing Pentagon Bases in Syria? The most recent incident occurred in what CENTCOM called a “deconfliction” zone – unilaterally declared by Washington. Lavrov said he knows nothing about this zone. Russia rejects it, he stressed. US-led forces operate illegally in Syria without Security Council or Damascus authorization. Establishing Pentagon bases in the country shows regime change remains Washington’s objective. Phony claims about combating ISIS conceal its real aim. On Thursday, Russia’s Defense Ministry warned about US-led coalition HIMARS multiple rockets launchers moved to its illegal al-Tanf military base in southern Syria being used. “The range of the High Mobility Artillery Rocket System (HIMARS) is not enough to support…US-backed” anti-government forces – death squad terrorists masquerading as moderate rebels. Russian forces in Syria are monitoring things closely, notably in northern areas near Raqqa and along the Jordanian and Iraqi borders in the southern part of the country. Deploying weapons anywhere in Syria without Damascus permission is flagrantly illegal. So is America’s presence and support for the terrorist scourge it claims to oppose. During the State Department’s press briefing days earlier, spokeswoman Heather Nauert claimed CENTCOM’s so-called deconfliction zone “was established through a mutual understanding” among coalition countries…to ensure (their) forces are not endangered by other forces” – a clear perversion of truth. She failed to address the illegality of America’s presence in the country along with its rogue allies, claiming “the urgent challenge to defeat ISIS” – the scourge Washington created and supports wherever its death squads are deployed. “We do not see (the buildup of US-led forces in southern Syria) “as an escalation,” she said. Reality on the ground indicates otherwise. Separately, Vladimir Putin told Oliver Stone in part three of his interview that Russian aircraft conduct on average between 70 – 120 daily airstrikes on terrorist targets. “We have already known that these arms are good and could be used, but when we tested their capabilities in combat conditions, it is a different story” – the best way to proved their effectiveness. Achieving conflict resolution depends on cooperation from Washington and its regional allies – not at all forthcoming, unlikely given their rage for regime change and destroying Syrian sovereignty.